"As someone who has needed to take 3 pain-relieving pills at a time to relieve menstrual pain. I was so happy and excited to find Thats Natural's CBD rich cream. I found applying the cream topically straight on my abdomen worked really fast. 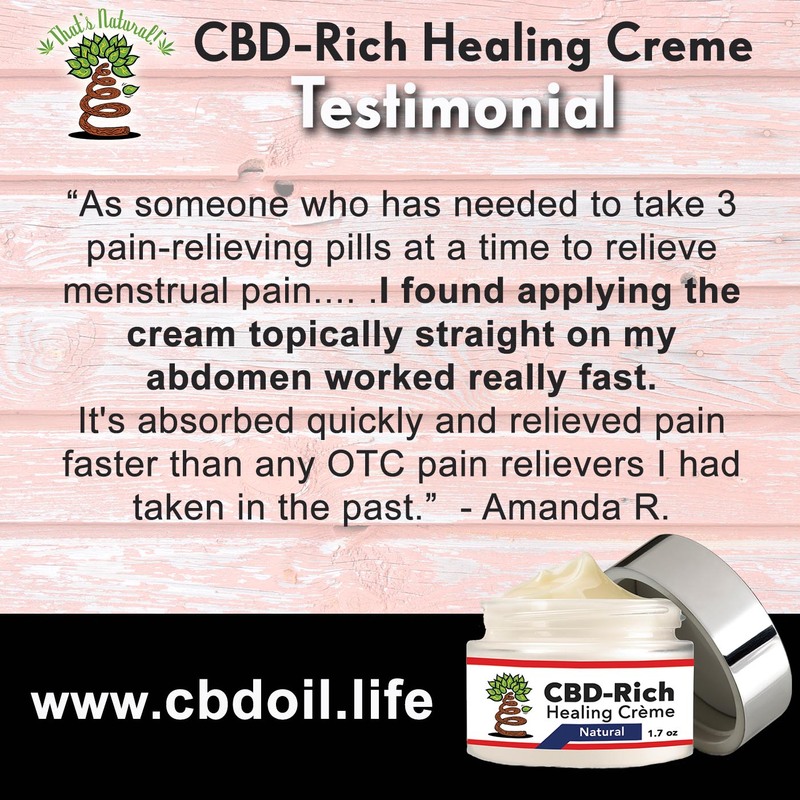 It's absorbed quickly and relieved pain faster than any OTC pain relievers I had taken in the past. I strongly recommend this cream for pain!!"